There has been brisk recent activity across various property types in Eastbourne, indicative of persistent healthy demand across multiple sectors. 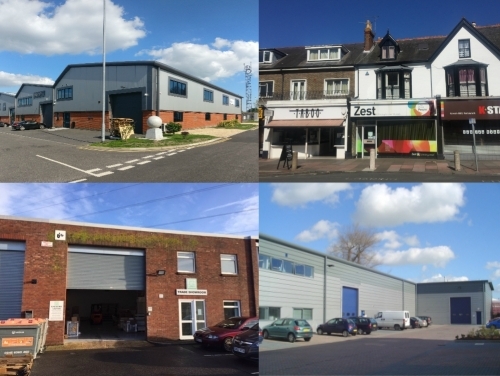 Unit G4, Chaucer Industrial Estate (top left of montage, others shown clockwise) – 3,044 sq ft of recently built cutting-edge light industrial space with solar panels and A+ energy efficiency rating – has been let to an expanding local catering company. Retail unit 12 Grove Road has been let to a new local children’s toy business, very near to the new Arndale Centre rebuild, which is facilitating the opening of an impressive array of new stores for the town. 60 Hammonds Drive, a 2,993 sq ft warehouse has been let to a successful local furniture company on a long term lease. Finally, Hargreaves Business Park offers modern Grade A warehousing facilities just north of the town adjacent to the A22 link road. SHW have let Unit 5A to an expanding car parts business.